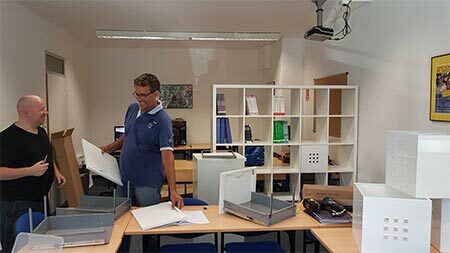 With only a few days left before the opening of Wittenborg University of Applied Sciences’ new campus in Vienna, Austria, excitement about the big day is spilling over. The official opening is on Monday, 28 August. Dr Alexander Bauer, who will be the new campus director, said he is looking forward to welcoming students. On Monday, the new building plaques, proudly displaying the Wittenborg logo, went up for the first time. 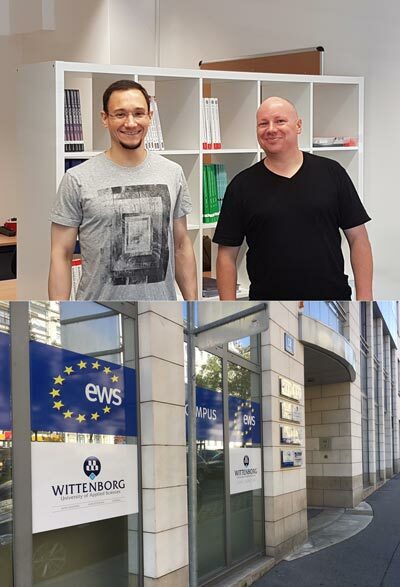 Wittenborg shares the building with the EWS institute, its partner and one of the oldest vocational schools in Austria. By Wednesday the final touches were put on the interior decoration. Wittenborg will offer its range of BBA and MBA programmes in Vienna, following exactly the same curriculum and planning as in Apeldoorn, from where the programmes will be administrated. Besides Bauer, Wittenborg interim Academic Dean, Dr Maria-Regina Kecht, is also situated in Vienna, as well as Wittenborg's webmaster and IT specialist, Denis Schuh.